Daphne is a seasoned healthcare executive with over 18 years of experience. Prior to becoming the President and CEO at North Suburban, Daphne served as the Chief Operating Officer at Orange Park Medical Center in Florida, where she was instrumental in developing their Level II trauma program, opening ambulatory outpatient sites and overseeing a $63 million dollar expansion project. She has a proven track record of growing volumes and driving the quality and patient service agenda. Daphne earned a Bachelor of Science in Psychology from the University of Southern Mississippi and two Master degrees from William Carey College in Industrial Psychology and Business Administration. Daphne and her husband, Eric, have two sons, Noah and Joshua. 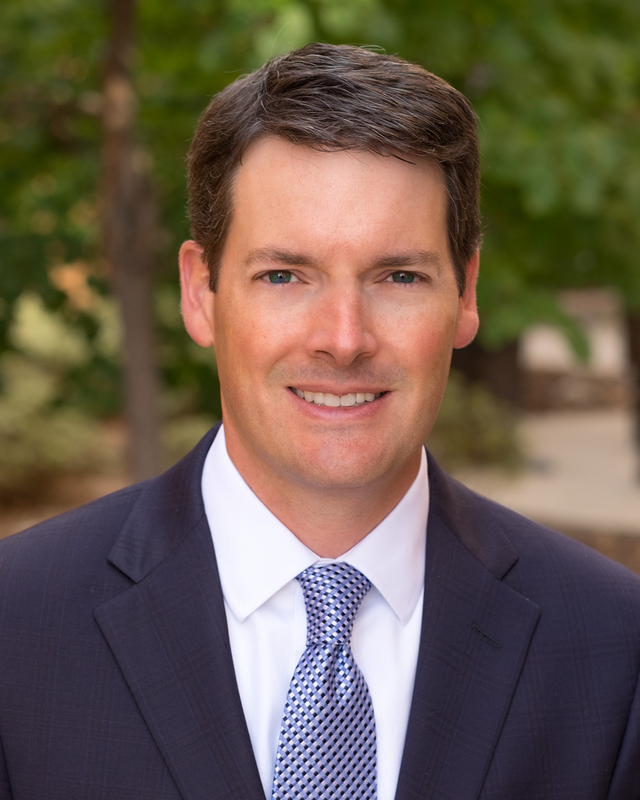 Ryan Tobin is the President & CEO at Rose Medical Center since 2018 after serving as Rose’s Chief Operating Officer since 2014. Prior to his time at Rose, Ryan served as COO at North Suburban Medical Center and, before that, Administrator of Operations at St. Anthony’s. Ryan earned his Bachelors of Science in Business Administration and Masters of Science in Health Care Administration from Trinity University in San Antonio, Texas. He is married and has two young children. Richard has been an integral part of the leadership team at HCA’s St. David’s Medical Center, serving as Chief Operating Officer and as Interim Chief Executive Officer. Prior to that, he served for two years as Senior Vice President of Strategic Planning and Development for St. David’s HealthCare and the HCA Central and West Texas Division. Richard has supported numerous strategic, clinical and operational initiatives that have helped St. David’s Medical Center achieve the best clinical, service and financial metrics in its history. He also led the establishment of and has provided ongoing leadership for two of their Centers of Excellence—Texas Cardiac Arrhythmia Institute and NeuroTexas Institute. Before going to Austin, he served 10 years with Baptist Hospital of East Tennessee in a variety of roles, including Administrator and Vice President for Care Operations for the large, 347-bed flagship hospital. Richard has master’s degrees in health administration as well as business administration from the University of Alabama, Birmingham. He earned his bachelor’s degree in business from the University of Alabama in Tuscaloosa. He and his wife, Amy, have three children – Kate, 6; Emma, 3; and Jack, 2. They are very excited about their move to Colorado and joining The Medical Center of Aurora/Centennial Medical Plaza family. Maureen Tarrant is President and Chief Executive Officer of Presbyterian/St. Luke’s Medical Center and Rocky Mountain Hospital for Children. She is an experienced senior executive within HCA’s HealthONE system of care and was named to this position in July, 2014. Prior to this, Maureen was CEO, Sky Ridge Medical Center. She led the planning, design and development, construction and opening of HCA’s HealthONE seventh and newest hospital in 2003. Before opening Sky Ridge Medical Center, she served as HealthONE’s Vice President for Strategic and Administrative Services. She began her career with HealthONE as Vice President of Planning and Marketing for Rose Medical Center. Her leadership in healthcare related organizations is extensive. Maureen serves on the MIC Management Committee (Radiology Joint Venture). She is an Adjunct Faculty member of Virginia Commonwealth University’s Department of Health Administration and a member of the American College of Healthcare Executives. She also served as Chair of the Board, Colorado Hospital Association from 2010 to 2011, and was a member of American Hospital Association’s Regional Policy Board from 2009 to 2011. Ryan Simpson is the President and CEO of The Medical Center of Aurora (TMCA) and Spalding Rehabilitation Hospital. He oversees TMCA's six campuses in Aurora and Centennial, Colo., including the flagship 346-bed South Campus, located at Interstate 225 and Mississippi, the 80-bed North Campus Behavioral Health and Wellness Center, the 100-bed Spalding Rehabilitation Hospital Aurora/Spalding Rehabilitation at P/SL, Centennial Medical Plaza, Saddle Rock ER and a medical office building at Green Valley Ranch and a vast array of other services. TMCA is a Level II Trauma Center, has Chest Pain Center accreditation, Atrial Fibrillation with EPS accreditation, is a Joint Commission Accredited Primary Stroke Center, the HealthONE Behavioral Health Services hospital, and has an affiliation with Rocky Mountain Hospital for Children and Sarah Cannon Cancer Institute. Ryan has been with HCA since 2010 and during his time at Swedish, he was instrumental in relocating Colorado's largest urology practice to the facility, resulting in a 40% increase in robotic surgeries. He led over $80 million in construction projects that included building a new hybrid OR, a cath lab expansion, and a surgical robotics OR expansion. He also led tactics that improved physician engagement to top-decile performance in HCA. Prior to joining Sky Ridge Medical Center, Susan was the Chief Nursing Officer (CNO) and VP of Patient Care Services at Rose Medical Center for six years, where she was responsible for the operations of all patient care services. She previously held a number of key leadership posts, including Director of Surgical Services, at Rose. She has been a nurse for more than 30 years and looks forward to bringing this perspective to her position.